Don't really like this guy at the beginning but loving on along Dream High drama. 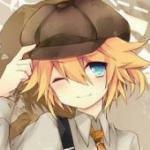 He look a bit like Taemin of Shinee, which I notice the most. I like his character, can't wait for upcoming ep. looking forward to ep 10! soohyun samdong all the way!!!! Actor Kim Soo Hyun would like to wish his fans a happy Lunar New Year! 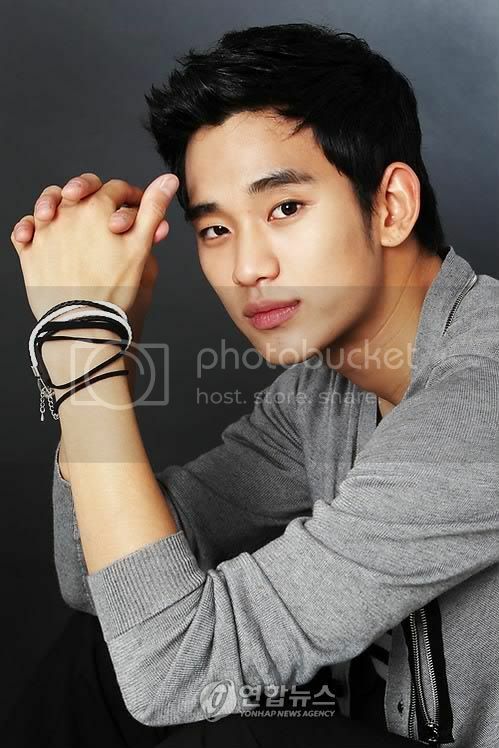 On February 1st, Kim Soo Hyun sent his Lunar New Year’s greetings through his company, KeyEast Entertainment. Article contains spoiler so I won't copy and paste it here. Can't wait today episode.poor Samdong,I really hope he will focus his dream more than Hymi after he saw JK and HM were kiss. 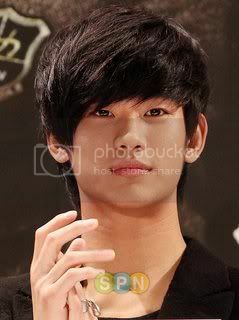 .he got so hot on dream high ep 11!! Can't wait for next ep. Woow, new hair style is realy suit him!! Then that earring... Oh~ That guy so cool..
- he's just so handsome and charming, love his smile, his lips too..lol...such a great young actor. He's actor but he can sing and dance well..
On the February 6th episode of KBS’s “Dream High“, Kim Soo Hyun’s character will undergo a radical 180 degree transformation, thanks to ‘Jin Guk’s interference in his love line with ‘Hyemi’. Throughout the series thus far, ‘Samdong’s love for ‘Hyemi’ was much like that of a sunflower’s, as he always loved and followed her without doubt in all of her pursuits. Unfortunately, ‘Sam Dong’ witnesses the kiss shared by ‘Jin Guk’ and ‘Hyemi’ during their trip to Nagoya, Japan. Unable to do anything, he’s forced to clutch at his breaking heart and look on with tears as his first love gets taken away from him. The experience, however, makes him more determined than ever to become the greatest star, and he formally begins to prepare himself by honing his inner talents. Be sure to check out the episode to see how the love triangle unfolds. I totally love this guy, he's so freaking cute and a good actor! Ho so hot .love him .after watched preview ep.12 .omg sitll sad poor Sam Dong. 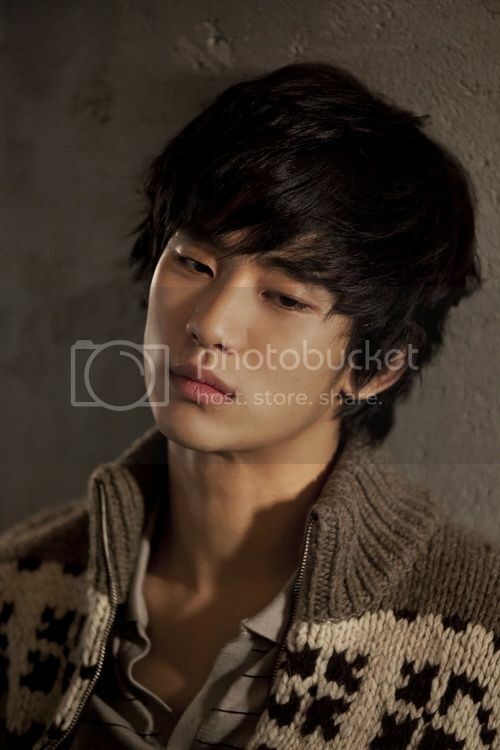 On KBS 2TV’s “Dream High“‘, country boy ‘Samdong’ – played by actor Kim Soo Hyun – has transformed into ‘Dark Samdong’. The 11th episode of “Dream High” started with Samdong’s shocked reaction to ‘Jin Guk” (Ock Taecyeon) and ‘Haemi’ (Bae Suzy)’s kiss. Up until that moment, Samdong had been an innocent boy who was genuinely in love with Haemi. Heartbroken and angry, Samdong decides to cut his hair – a traditional symbolic gesture of one’s transformation. Stepping out from the barber’s, Samdong will now walk as “Dark Samdong”, a cold man stunned by the betrayal of love. The shock eventually wears off as he walks through the streets. Samdong is seeing crying as he broods over his thoughts, “My mother lied to me. She said the heaven only gives as much pain as one can withstand, but it is too difficult for me to bear”. It’ll be interesting to see how the love triangle will be affected by Samdong’s abrupt transformation. Now ,you can d/l a lot of wallpaper,Photo and etc of SooHyun from Spris site.